No one wants to see their students go through the summer slide. All that hard work down the drain? No way!! 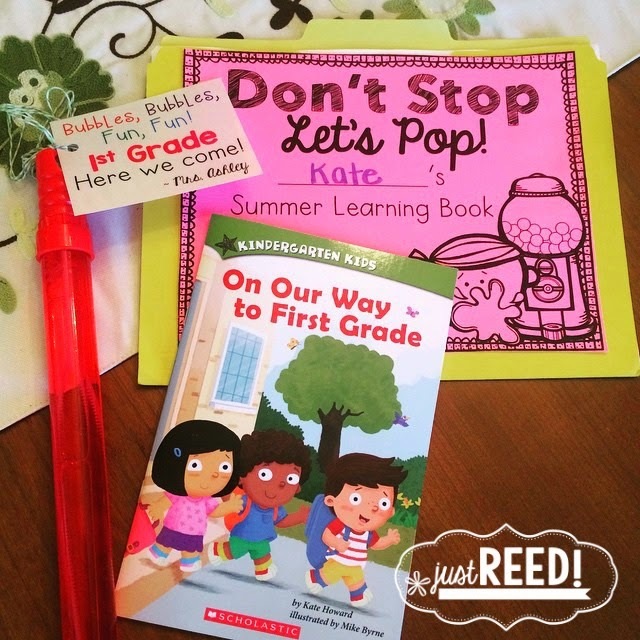 Any summer slide will REALLY stand out to me since I’m looping up with my Kinder-kids to first grade! I can’t wait! I decided to put together some bubble-gum themed learning packets to send home with my kiddos. They cover 10 weeks (in case you get a nice, long summer!) 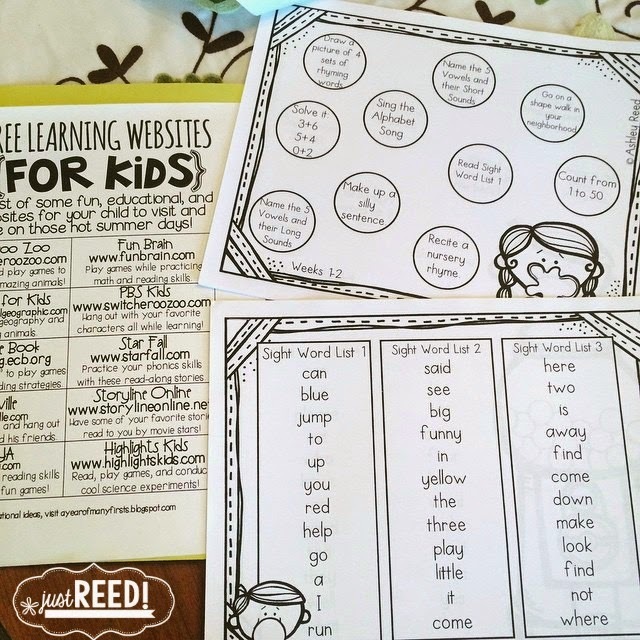 and each two week page features ten learning activities. They activities are quick, fun, and educational! Best of all? They’re entirely editable, so if you don’t like the activities I included, you can make up your own. This will allow you to differentiate based on your students’ needs as well!! Each time a student does an activity, they color in a bubble. I also printed off Lyndsey Kuster’s helpful website list and included it in the packets I’m sending home! Along with the packets, I’m sending each child home with a copy of the book On Our Way to First Grade–which I snagged from Scholastic book cubs for ONE DOLLAR y’all! !